Diabetes Week is just around the corner (9th – 15th July) and EACH is inviting the local community to join us to learn about diabetes with events at our Ferntree Gully and Ringwood East health centres. In Knox, the rate of Type 2 diabetes is 6.2%, above the Victorian average of 5%, and well above the lowest rates of Type 2 diabetes seen in the Nilumbik Shire of 2.2%. It’s also higher than our close neighbours in Maroondah at 4.2% and Yarra Ranges with 3.9%. 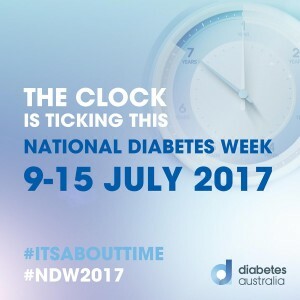 More than 100,000 Australians have developed diabetes in the past year and around 1.7 million Australians are currently living with diabetes. People with Type 1 or Type 2 diabetes can do a range of things to improve blood sugar levels and decrease the risk of developing long term complications. There are a network of health professions that can be of support, that include GPs, Diabetes Educators, Dietitians, Exercise Physiologists, Endocrinologists, Podiatrists, Dentists, Pharmacists and Eye Specialist to name a few. People in the community may have a range of questions around diabetes that include, what is the best diet for Diabetes? How can I get more physically active when exercise is a struggle? Is there somewhere I could get all my diabetes questions answered at once? We are hosting separate events for both Type 1 and Type 2 diabetes that aim to provide relevant, interesting information and give people with diabetes the opportunity to have their questions answered by qualified health professionals. EACH would like to invite people with diabetes and their supporters to our National Diabetes Week FREE Events on Wednesday 12 July at 1063 Burwood Highway, Ferntree Gully. Type 2 Diabetes session running from 12.45 -3.15pm – see flyer here. Type 1 Diabetes session running from 6.15 – 8.30pm – see flyer here. Bookings essential to Meagan Watson on 9757 6260 or at meagan.watson@each.com.au. A FREE monthly Diabetes Q&A session is now available for anyone wanting to ask questions about diabetes. No appointment is necessary and morning tea will be provided. Please join us at these sessions commencing Wednesday 19 July 2017, then every third Wednesday of the month at 75 Patterson Street, Ringwood East, VIC, 3135 – see the flyer here. For more information on our diabetes programs, please contact Andrea McDougall, Team Leader – Health and Wellness Team on 9757 6200 or via Andrea.McDougall@each.com.au.